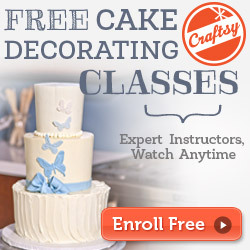 From there, you can check out the new FREE cake decorating courses as well as a bunch of not-so-free (but still affordable!) courses. 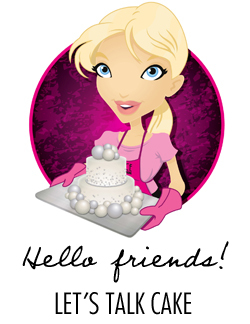 There are some amazing options available on every topic from sugar flowers to cookie decorating to 3-D cake tutorials to how to run a successful cake business. Have fun browsing and learning! This entry was posted in Uncategorized on March 27, 2015 by TalkSweetToMe. a. in bed, like me. b. out grabbing a drink or three with friends. c. curled up on the couch with your family watching a movie and eating ice cream. But there’s a solution! An online video is a powerful tool that can help sell your business for you whether you’re sleeping, on vacation, or busy in the kitchen working on another masterpiece. And I absolutely promise, it’s not too hard. If I can do it, you can DEFINITELY do it! I didn’t use my video to its fullest potential (then again, there are quite a few things overall that I would do differently if I had it to do again! ), and as a marketing manager I’m still kicking myself for that. Looking back I think I appear a little snobbish and would rework my script and tone to take some of that out. Be fun! Be friendly! Keep in mind that people want to work with people they like, not necessarily someone who knows it all. If you are filming and editing yourself, be sure to use a good quality camera. 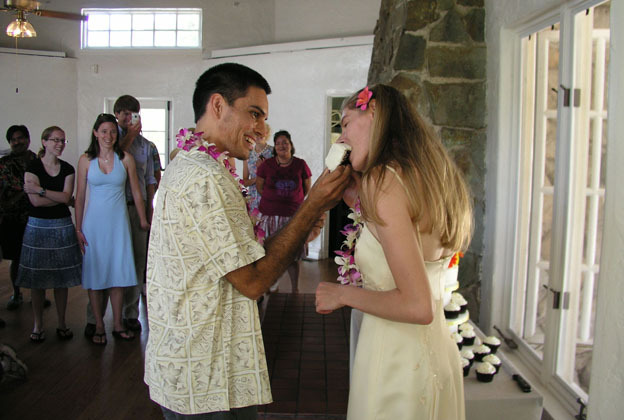 If you would rather work with a professional (I did), try to link up with a wedding videographer. We’ve talked about the importance of networking before, and this is one way you could really get to know one or two in your area. Write your script carefully, and then have someone you know go over it with a fine-toothed comb to ensure your messaging is on-target. Then have someone you don’t know as well do the same thing. Ask for feedback (constructive criticism only, please!) and incorporate the ideas you think will work well for you. Tweak, tweak, and tweak until it is perfect. You get to be a famous actress actor/actress for the day! Dress the part, pay special attention to your hair and make-up, make sure everything is in place before filming, and then GO FOR IT! 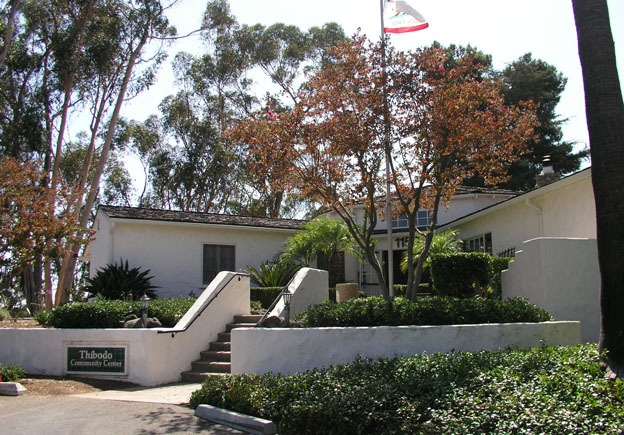 If you don’t have a commercial kitchen available, see if you can rent one out. Pay attention to what is in the background. 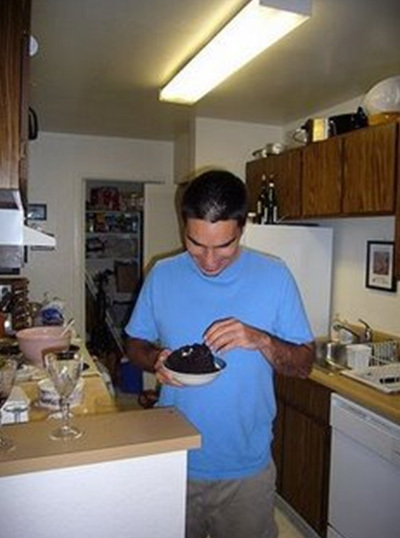 Do something interesting while you’re talking, like…decorate a cake. You don’t want to just be a talking head, but remember that a talking head is better than a picture, which is better than no picture at all. 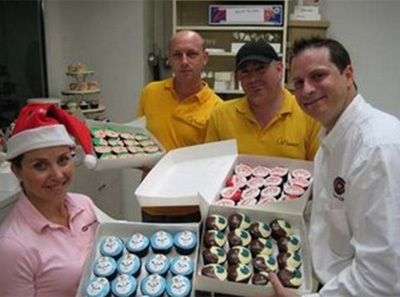 Your customers want to get to know YOU, the person who will be an integral part of their celebration. Once it’s complete, GET IT OUT THERE! Use it as an introduction on your website. Place a QR code that links to the video on your handouts or business card. Post it on all your social media channels (maybe not all at the same time – space it out so you’re not flooding your followers with the same thing over and over). Send it as a link in your next customer newsletter. Write a blog post about it. Then sit back, relax, and let your video do some of the selling for you! This entry was posted in Cake Business, Uncategorized and tagged cake business, cake decorating, tips on February 25, 2015 by TalkSweetToMe. 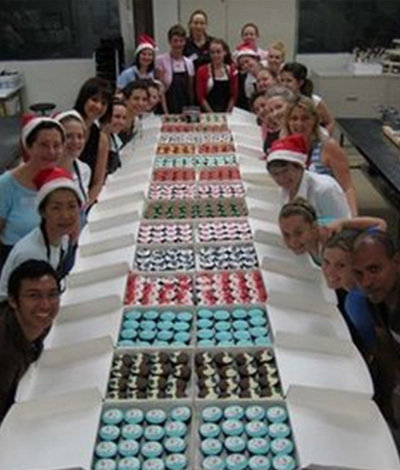 The following was originally posted on my first blog, The Planet Cake Intern, as I learned the art of cake decorating while living in Sydney, Australia. …those are my fabulous morning-session girls! Because I was an intern at the time and volunteered to help, I arrived at Planet Cake about an hour early to help prepare the tables, set out equipment, color the icing, and just generally get ready for everything to come. 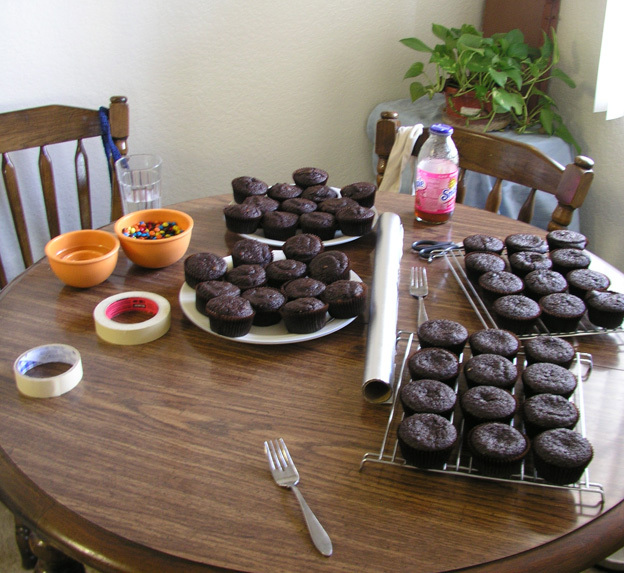 I wasn’t exactly sure what else I was going to be doing that day, but two days earlier, I learned I would be in charge of getting 7-8 volunteers through their allotted cupcakes for each of the morning and afternoon sessions. 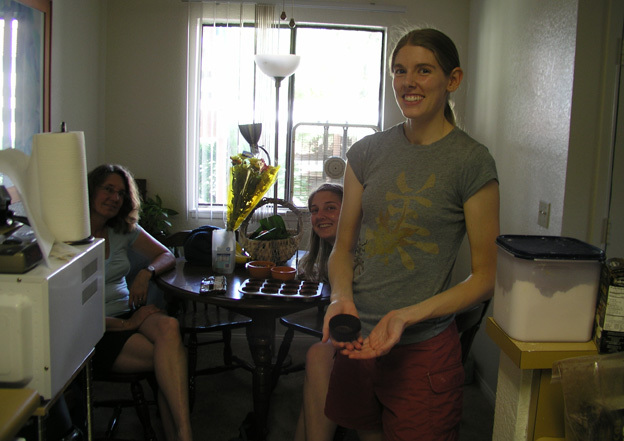 We followed the leads of Handi and Anna-Maria, setting up an assembly-line of sorts…several girls ganaching the cupcakes, the next few covering them with icing, and the last ones putting on the final decorating touches. It was a great system, and so rewarding to start seeing those boxes start to pile up for Oz Harvest! Look at Handi peeking into the picture behind me…always a great smile!! 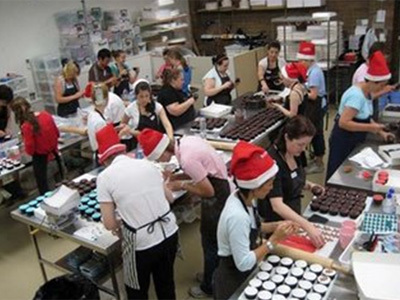 The afternoon session went much smoother than the morning because I knew what to expect and how to proceed with the volunteers from ganached cupcakes to final decorated product. 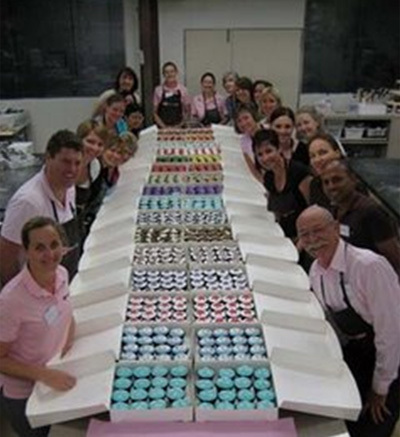 I had very fun groups of people to work with in both the morning and afternoon sessions…and was so grateful for their patience and enthusiasm as we worked through all 667 cupcakes! So what did I learn from the cupcake drive? 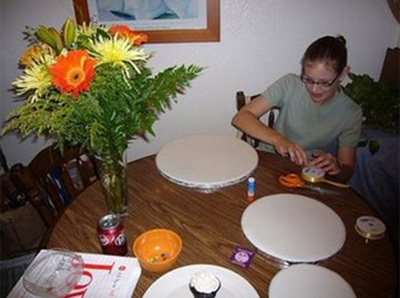 That teaching decorating to others and managing volunteers is a whole new ballgame! 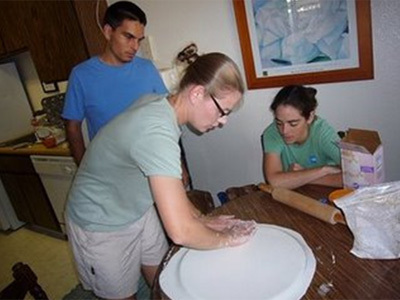 It really made me appreciate both Handi and Anna-Maria’s teaching talents when I had the opportunity to sit in on their courses. By no means did I become an expert, but I learned a lot about working with people new to cake decorating and had a lot of fun in the process. And experienced just a peek into what it takes to put together such a massive volunteer effort. 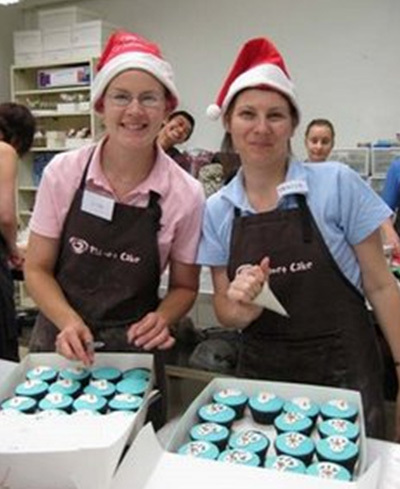 To any of you donating your cake-baking services over the holidays: More power to you! Have fun and tell me about it below! 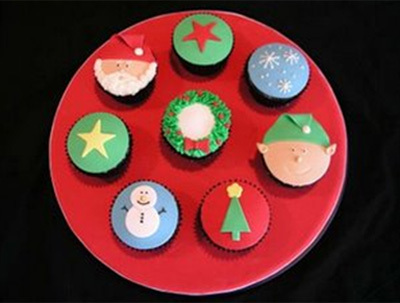 This entry was posted in Cake, Cupcakes, Fondant and tagged cake decorating, cupcakes, inspiration cakes on December 20, 2014 by TalkSweetToMe. GIVEAWAY!!! 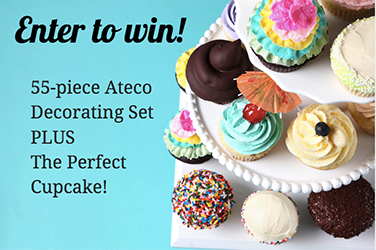 One lucky winner will get a 55-piece Ateco Stainless-Steel Decorating Set PLUS free enrollment in the new online Craftsy class The Perfect Cupcake! In this online class, you’ll learn how to combine creative cupcake flavors, fillings and frostings with gorgeous decorating for out-of-this-world treats! Enter now through August 27th! Note: Only residents of the U.S. and Canada are eligible to enter. This entry was posted in Uncategorized on August 16, 2014 by TalkSweetToMe. A week or so ago I reviewed SprinkleBakes by Heather Baird. It is a lovely book and I finally had a chance to make one of the recipes this week. 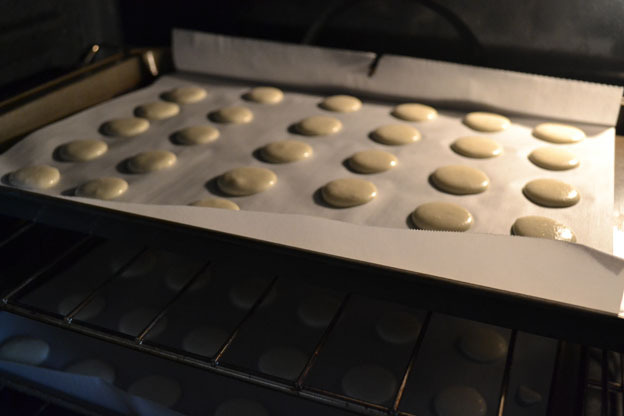 Even though they have grown exponentially in popularity in recent years, for one reason or another I’ve never had the chance to make macarons. Until now! 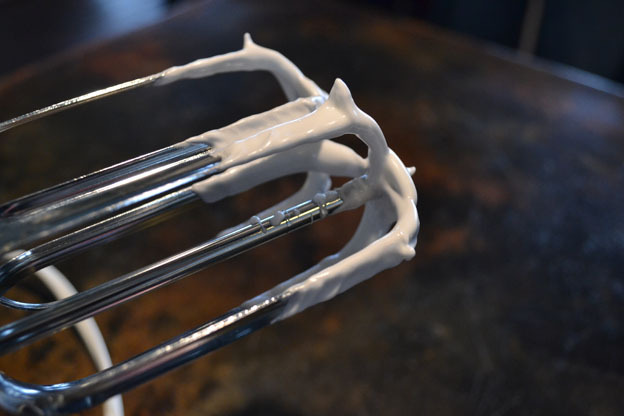 I am told that making macaron batter is a very delicate process and must be done carefully in the right level of humidity and etc. Those warnings always make me want to go ahead and schedule in an anxiety attack, but I decided to just jump in and see what happened. Luckily there was no need to worry…I’m no rocket scientist and they turned out great! 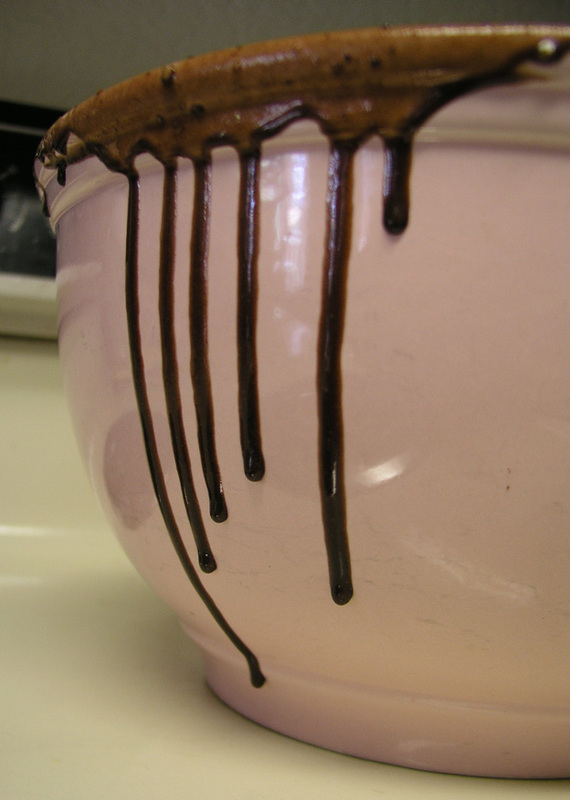 The batter was a really smooth egg mixture with a lovely sheen to it. 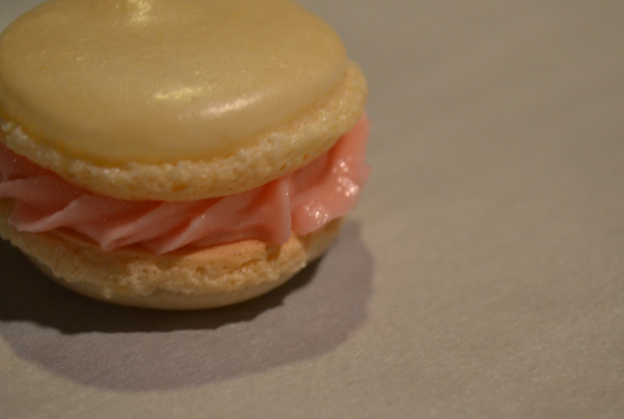 I was lucky and the macarons formed the “foot” which is the crinkly part at the bottom. It’s really fun when something turns out just like the pictures you’ve drooled over for years! Heather’s recipe in SprinkleBakes was super easy to follow and DELICIOUS!!! I filled them with my regular ol’ buttercream recipe tinted in springtime colors. After a taste test, my husband declared them a new top ten favorite. That’s a win, folks! Check out Heather Baird’s SprinkleBakes for the recipe or look on her website for a few options here or here. You can also see if it’s available in your local library if you want to take a sneak peek, or just jump right in and find it on Amazon! 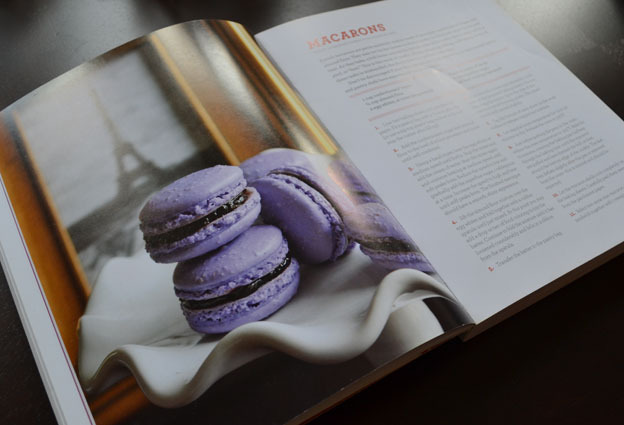 This entry was posted in Book Review, Cookies, Uncategorized and tagged cake book review, macarons, sweets on June 20, 2014 by TalkSweetToMe. Today we’re taking a look at SprinkleBakes: Dessert Recipes to Inspire Your Inner Artist by Heather Baird. What an adorable book! 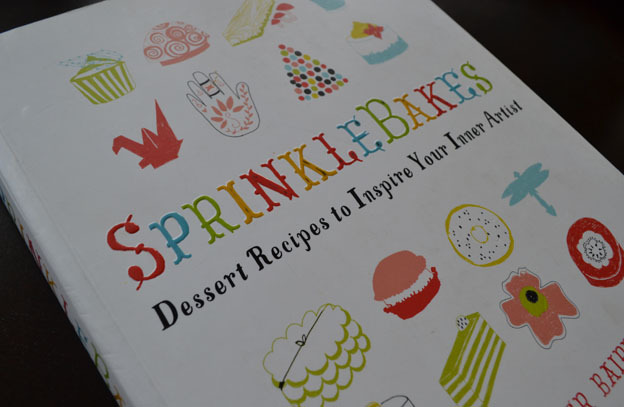 Filled with recipes and great ideas to “pretty things up,” SprinkleBakes is a perfect addition to any baker’s library. 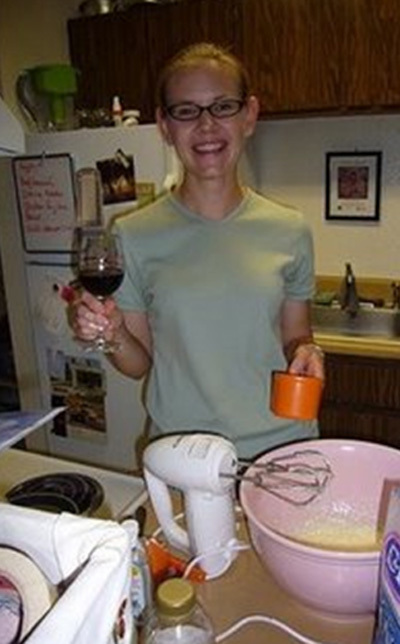 I had a lot of fun looking thorough to gather new techniques and tips to add to my baking repertoire. First of all, I loved the artist theme. Heather Baird is an amazing artist in many different ways. In this book, “Blank Canvases” gives you the recipes to start with as you go through each project. In the “Line” section you learn to decorate with brushes, sponges, and stamps. The “Color” section discusses color theory, tinted cake and icings, and other vivid desserts. “Mixed Media” brings together many techniques in one project. From the titles of the chapters to the dessert drawings on the front cover, dessert is truly an art form with SprinkleBakes! The book goes through everything from supplies and equipment to tips and tricks for each of the included projects. A lot of those techniques are universal, meaning they could definitely be applied to other projects you’ve got in your head and want to make happen in sugar. I personally found the individual techniques and the resources section of the book more helpful and useful than the individual projects since the projects did not necessarily fit my style. Even so, I have happily put this book on my shelf and bring it out on rainy days to try something new. 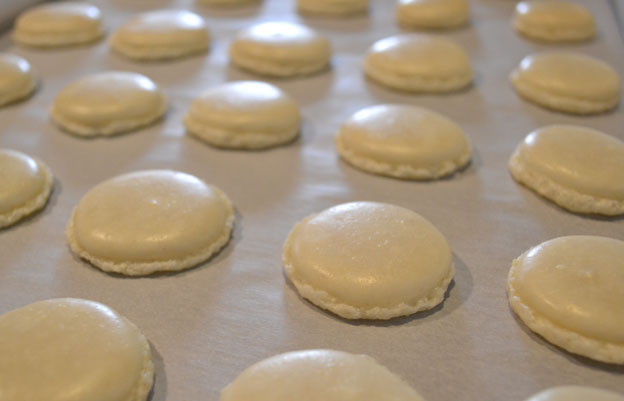 I’m hoping to make the macarons soon…this obsessed baker has (crazily enough!) never attempted them before! My other favorites to drool over and/or dream of making were the Diagonal Chocolate Mousse Cups, Postcard Cookies (a neat stamping with wafer paper technique! ), Salted Caramel Cupcakes with salted caramel candy halos, Vanilla Bean Baby Doughnuts, and the Glittering Cookie Tree. I can definitely see the cookie tree happening at a certain little girl’s first birthday party this September! If you’re looking for a great book to add to your shelf, check out SprinkleBakes: Dessert Recipes to Inspire Your Inner Artist by Heather Baird soon! This entry was posted in Book Review, Resources and tagged baking, cake book review, cake decorating on June 13, 2014 by TalkSweetToMe. This was by far the most fun I’ve had making a wedding cake (or in this case, cupcakes) since I left Planet Cake. Friends were everywhere so we had a lot of laughs, made a colossal mess, and everyone jumped in to help without hesitation…it was so much fun! Robin and Jocelyn sorted the mini m&ms into colors so we could use them as a simple decoration to finish off the top of the cupcakes. 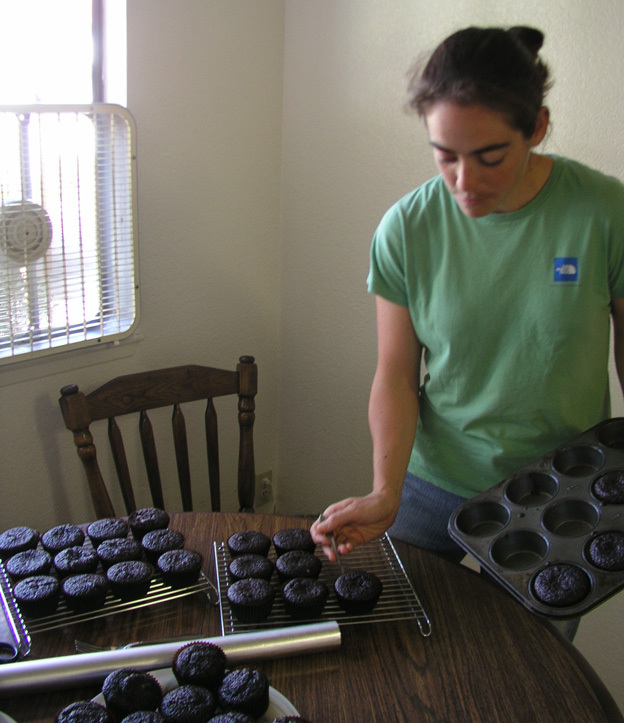 …and the fabulous Amanda took cupcakes out of the pan and set them on wire racks to cool. And we were finished baking, except for the “secret” top tier. Louisa wanted to keep things simple, so told me she didn’t want a cutting cake. 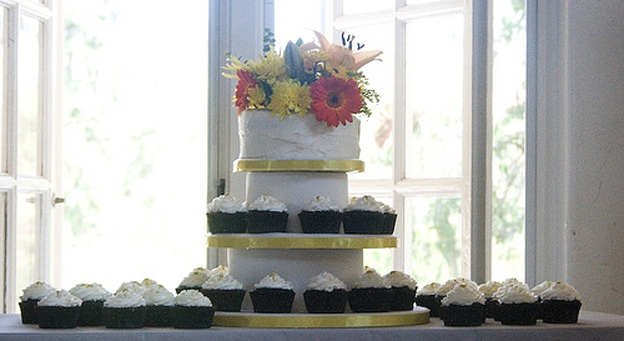 However, a cupcake stand does not seem complete without having that cake on top for cutting during the wedding reception! Plus, it’s tradition. 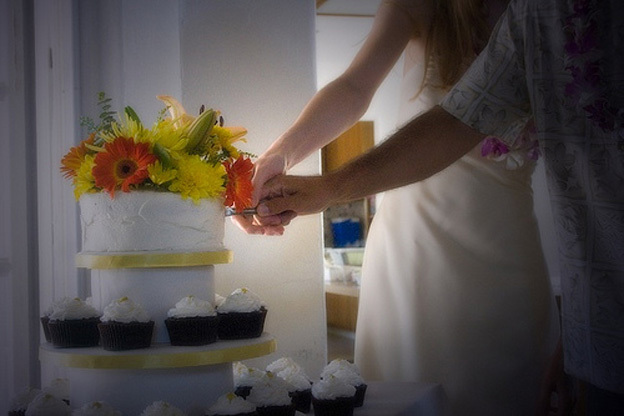 Jocelyn provided the perfect distraction taking Lou and Eddie away to practice the ceremony, and the rest of us discreetly mixed up another batch of cake and stuck it in the oven. Louisa wanted easy, I wanted perfect…we ended up with the best of both worlds. Ha ha! There was a bit of extra cake leftover, which was perfect for taste-testing. These cupcakes were what the cupcake trials were for…luckily, Eddie liked the cake! 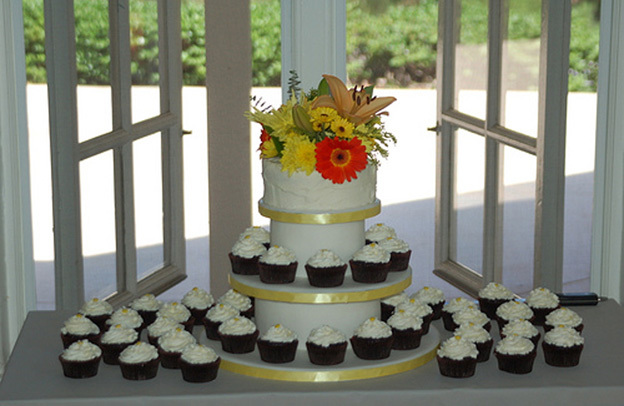 Time to put together the cupcake stand, covering it with icing and a yellow ribbon surround to match the wedding colors. There was an audience! 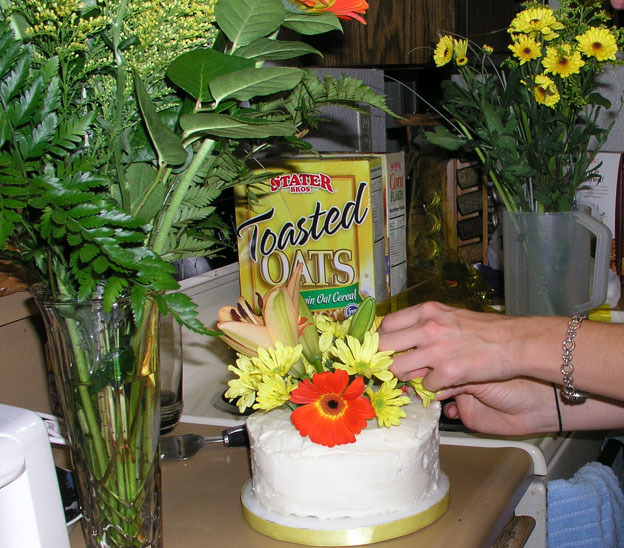 The next morning I placed some bright, colorful fresh flowers on the cutting cake. I’d never used fresh flowers before, but tried to take the principles Handi taught me with sugar flowers and apply them to the real thing. We were going for a fun, spontaneous, loose, garden-type feel (smooth, but not smooth…loose, but not loose…I still hear Handi at times like these!). The look is a bit different from most of the other cakes I’ve been producing, but it was perfect for Lou and Eddie’s wedding. Time to transport everything (the part that always has me on-edge)! The ceremony and reception were held at Thibodo Park, which was absolutely gorgeous. Time to eat some cake! This is my favorite photograph that Steve and Nicole took. 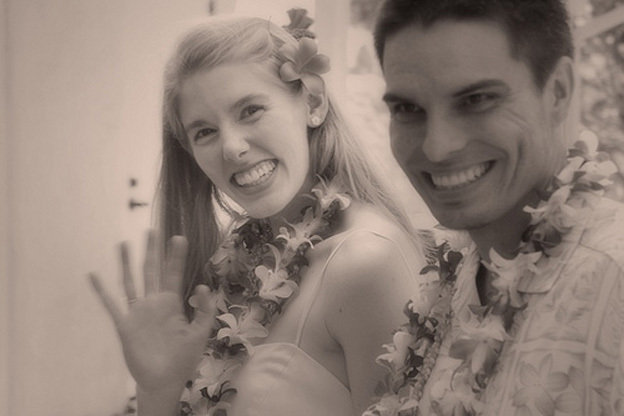 The bride and groom both look so happy, and Louisa is completely adorable…what great smiles! 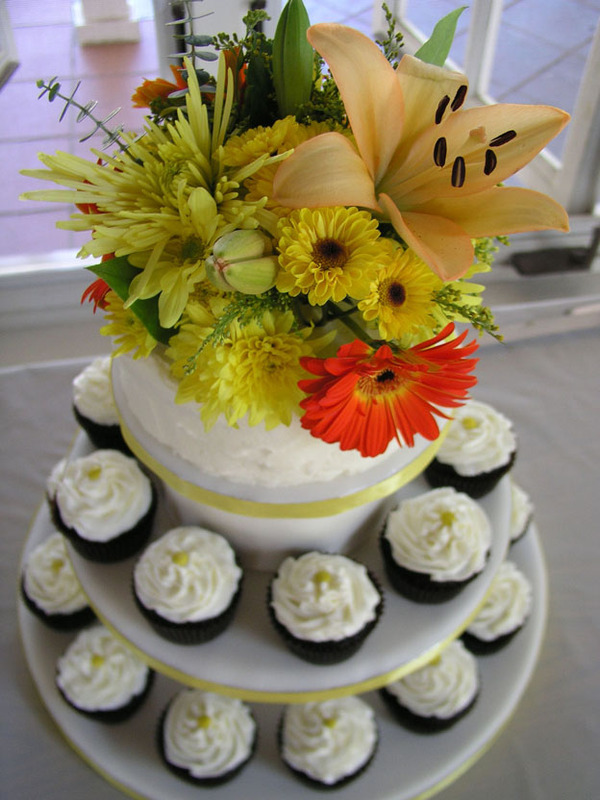 This entry was posted in Cake Baking, Cupcakes, Story of a Cake and tagged baking, cupcakes, wedding cake on June 3, 2014 by TalkSweetToMe.